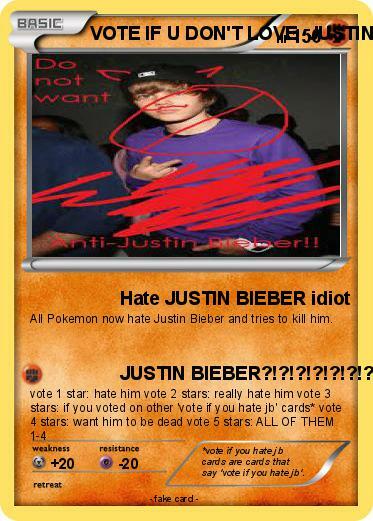 All Pokemon now hate Justin Bieber and tries to kill him. Attack 2 : JUSTIN BIEBER?!?!?!?!?!?!?!?!?! Comments : *vote if you hate jb cards are cards that say 'vote if you hate jb'.